This Hector hat uses a beautiful flecked Aran wool in the top section which we’ve paired with a soft grey on the fold up. 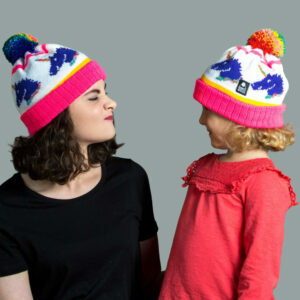 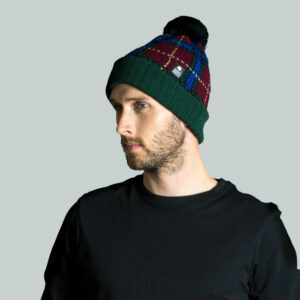 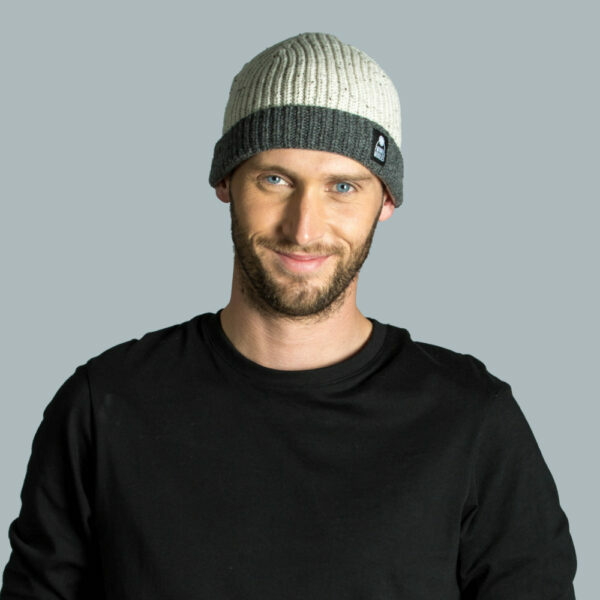 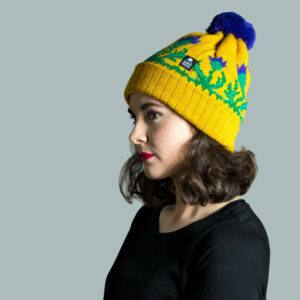 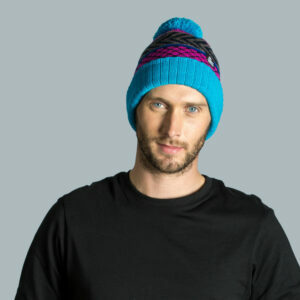 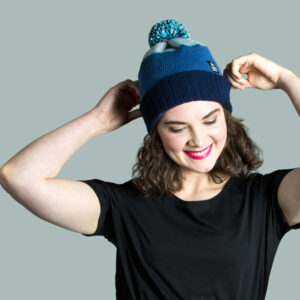 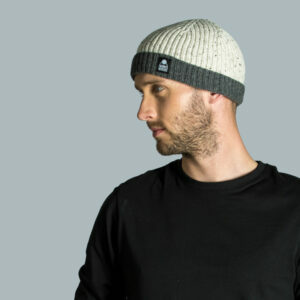 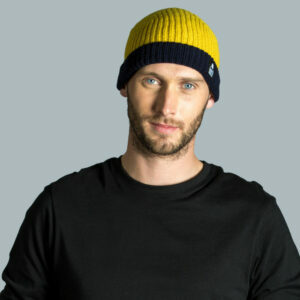 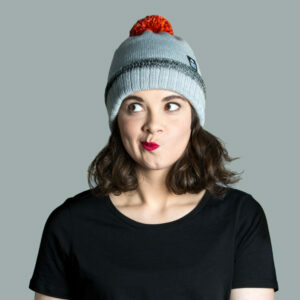 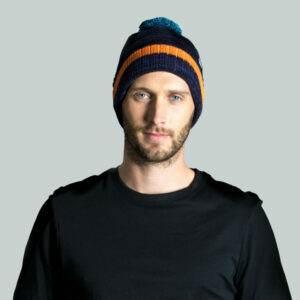 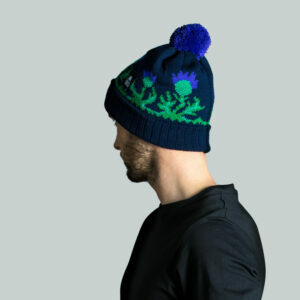 We use soft lambswool in this range of hats, which is light to wear and comfortable against skin. 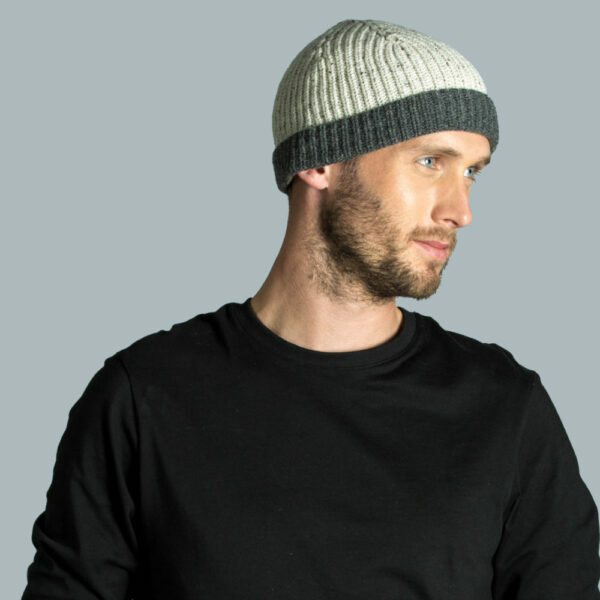 The chunky rib structure is shown on the outside of the hat and the inside is smoother to fit snuggly on your head. 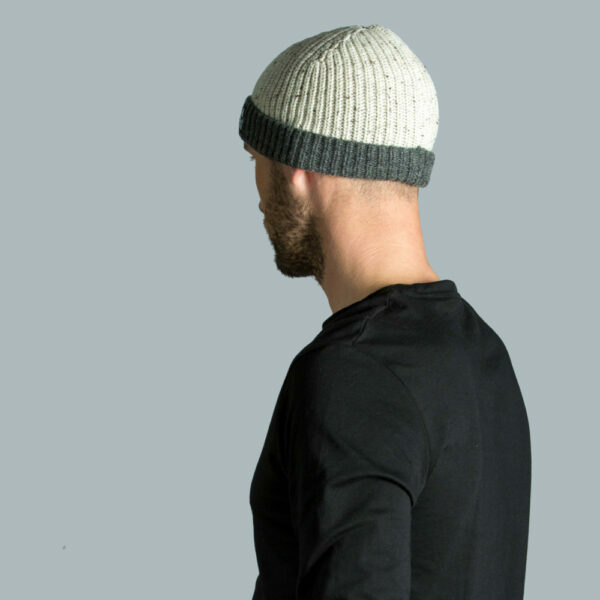 Pair it with our blended two-tone scarf to create a cosy set.